So you’ve decided to remodel your bathroom and add a whirlpool or airpool bath. 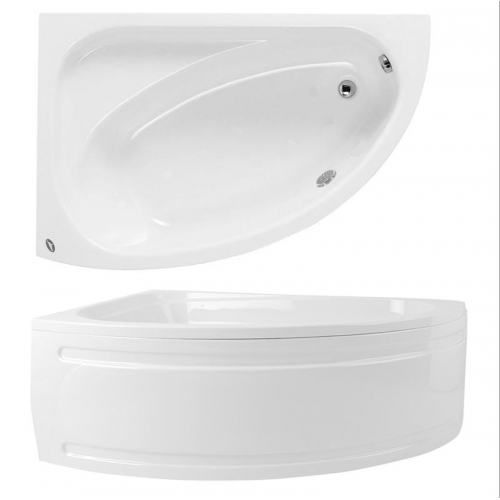 The majority of people who add these baths to their bathrooms do so for the sheer luxury of the experience, though interestingly these baths have medical properties that can assist with hypertension, arthritis and muscular pain. When choosing to add whirlpool or airpool baths to your bathroom there are a couple of things to take into consideration to help you choose between the two. It’s interesting to note that there is not many differences when it comes to maintenance and cleaning, the only difference is one jets air while the other jets water. You are right when you bath will make absolutely no difference as to which is the better option for your bathroom. Where time of day will make a difference is at night when the children have gone to bed and you have the time to run a wonderful hot bath, light some candles, turn down the lights and soak as the jets massage all your worries away. You are right again this will also not help you when you are looking at whirlpool and airpool baths. These baths can be used as a normal bath without the jets or a relaxing spa like bath where you can be massaged by air or water and help your aching muscles. When or how long you bath will make absolutely no impact on which of these baths are right for you. Well this point is something you should take up with the whole family, you may want to be selfish about your new whirlpool or airpool bath and keep it to yourself so you can enjoy the jets as and when you want. Again you are right, this is going to make no impact on which one is the right choice for you. 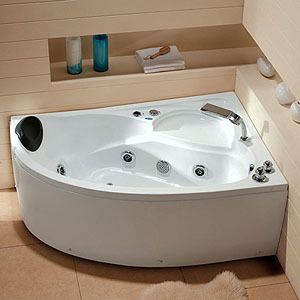 For the serious side of things, both the whirlpool and airpool baths offer a spa like bathing experience. They both massage muscles, help with circulation and can do wonders for those suffering from arthritis. They are both easy to maintain and clean, the only difference is that the one jets water and the other jets air. This means when cleaning the water one needs a solution run through it where the air one needs the jets to blow out air without water in the bath. Other than that they both offer the same advantages and convenience, so the choice basically comes down to you and your own preference.